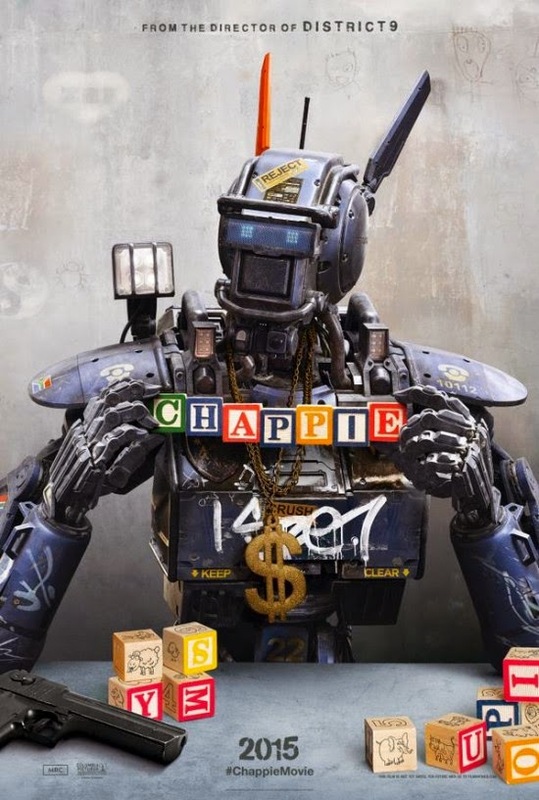 I Love That Film: Chappie Trailer Shows off Neil Blomkamp's Short Circuit Reboot? Chappie Trailer Shows off Neil Blomkamp's Short Circuit Reboot? Waaaaaaiiiiiiiittt a minute, come back it's not really a Short Circuit reboot! But it does have a robot who looks a bit like Johnny Five and he is most definitely alive! He may not have a wonderful Wall-eeeeeeeeeee catchphrase but he definitely looks like he'll be tugging at the heart strings no less than any other little robotic critter on the big screen. Chappie is going to be Neil Blomkamp's chance to bounce back after the relatively (compared to District 9) disappointing Elysium. He's also sort of going back to his roots as this is based on Blomkamp's own short Tetra Vaal which is brilliant and I have also embedded below. It's set in South Africa again, features Sharlto Copley doing voice (and a bit of mo-cap) for the robot and also has big Hollywood stars Hugh Jackman and Sigourney Weaver to help with the international market! Knowing Blomkamp, this is bound to have plenty of subtext going for it but even without that, this story of a robot outcast looks like it will be axction packed and emotional!